No matter how advanced the technology will become, field excavations shall always be crucial in terms of obtaining archaeological information and artifacts. At Digital Archaeology we carry out research on various archaeological sites, no matter the scale. 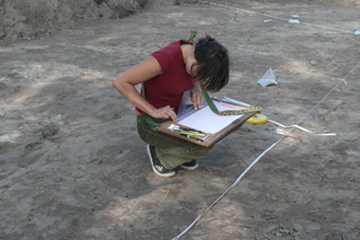 All members of Digital Archaeology team are well trained and skilled in the field excavation. We also specialize in construction site supervision. The usage of digital methods helps us to speed up the work in the field and to increase the precisionsion.